Can offer annual contracts at fixed pricing. Produced within 10 days ex Europe to all international manufacturing standards. Factory has more than 50 years’ experience, producing in excess of 15,000 tons annually. 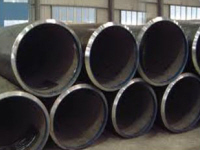 Steel arches type THN Ω, as used in tunnels and roadways providing not only a higher resistance but also a higher yielding support. 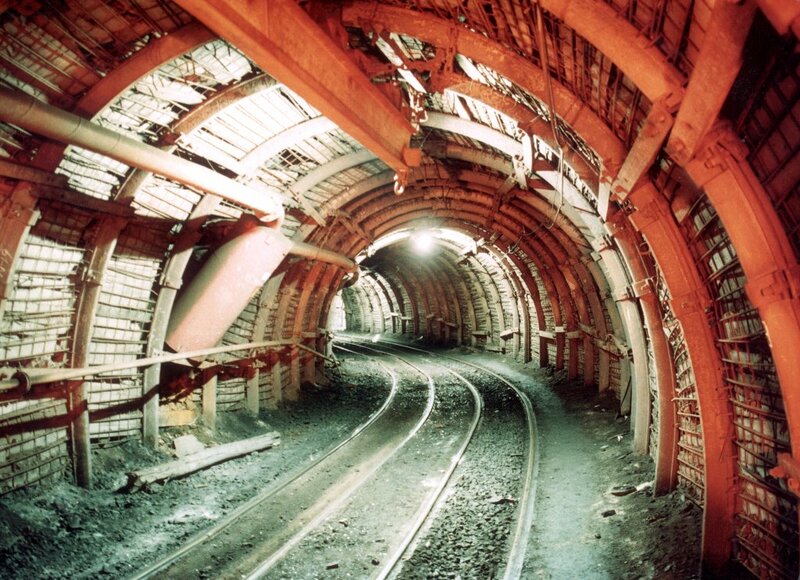 The use of Ω steel arches in tunnels for underground mining support provides not only a higher resistance but also a higher yielding support. A danger exists when the surrounding ground pressures increase, putting stress on the structure, but with this design, arch failure is reduced. 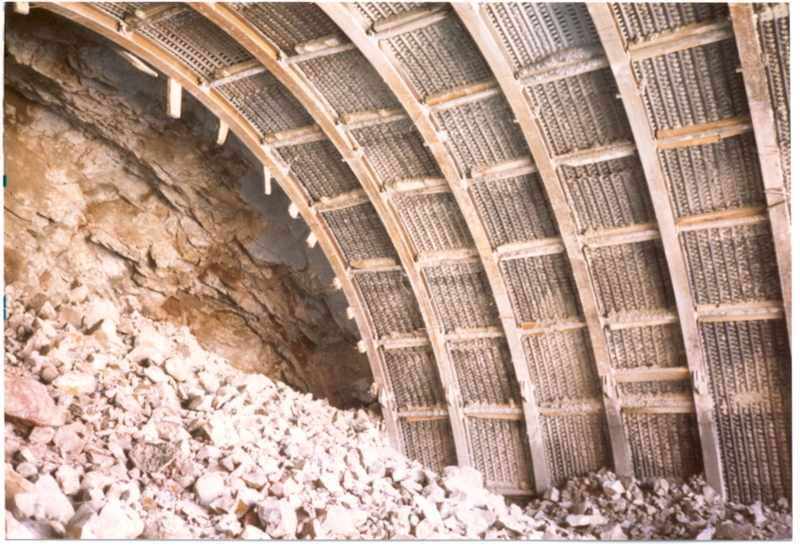 The Bernold System for tunnel support is a method that allows the placing of vibrated concrete lining immediately after excavation is completed. The result is a vault composed by Bernold type sheets and vibrated concrete which provides a uniform and predetermined resistance remaining firmly tightened to the ground. Sheets are assembled over steel arches, overlapped with each other and hooked up with pins. After assembling has been completed an actual surface of 1 meter squared is covered by each sheet. 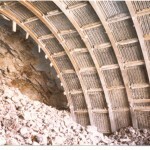 Ribs provided within the sheets every 120mm can be considered an equivalent to a concrete framework structure. Tests carried out have demonstrated that the bonding between concrete and the Bernold type sheet is the perfect combination for underground support. The Bernold type sheets can also be easily back filled with your choice of back filling material as per your engineer’s mine design. Abex offer a full range of grinding/milling media balls and rods for application in mining, power stations and other industries. 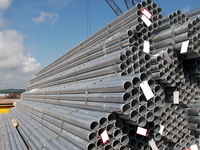 They are available in various sizes from 20mm to 200m diameter and are exported internationally. 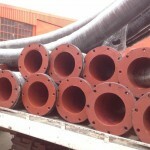 Plain-ended, joined with either compression, electrofusion or buttweld fittings, tack stubs, victaulic stubs and flange and stub. 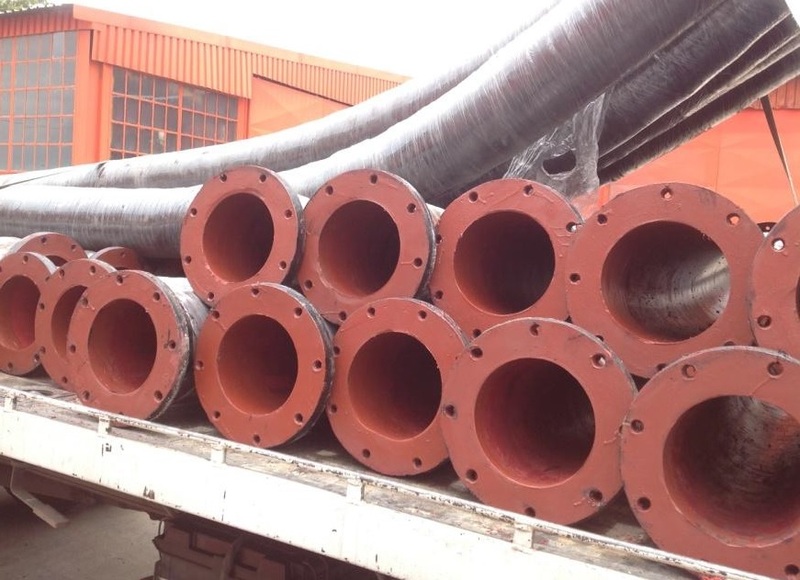 We manufacture rubber hoses to the highest standard as we strive to supply and achieve a long lasting high quality product,hoses are constructed with a liner, fabric reinforcing and steel wire. 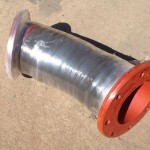 The liner comes into contact with the medium being transferred, fabric gives the hose its strength (pressure rating) and the wire allows the hose to bend without kinking. We also offer rubber lining in thicknesses of 3mm to 16mm depending on the application and amount of wear.Our rubber lining is in accordfance with SANS1201 and we are able to offer full QCP’s including blast profile, adhesion, hardness and EID testing. 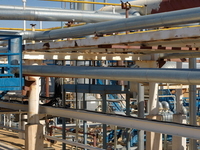 Hoses produced include suction & delivery of water, pulp, slurry, chemicals and wet or dry abrasive materials. 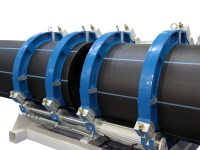 We offer a wide range of rubber hoses for all applications customised to your specific requirements. 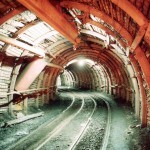 Abeyla Exports provides a wide range of tools for mining and construction industries. 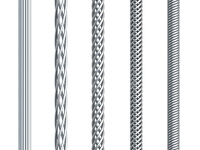 We supply Drill Bits and the accessories to provide the complete drilling solution to every project. Please click on the below link for more information on these products.